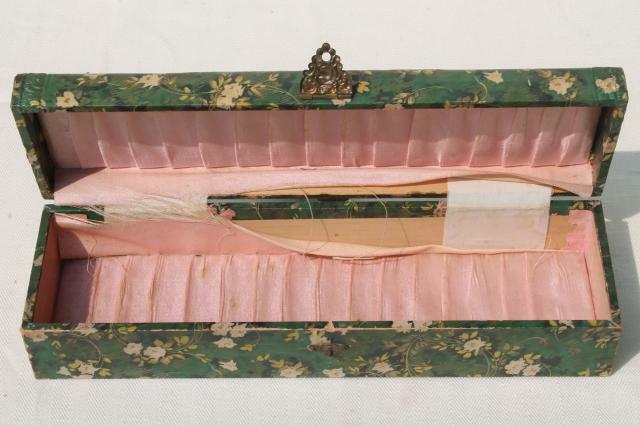 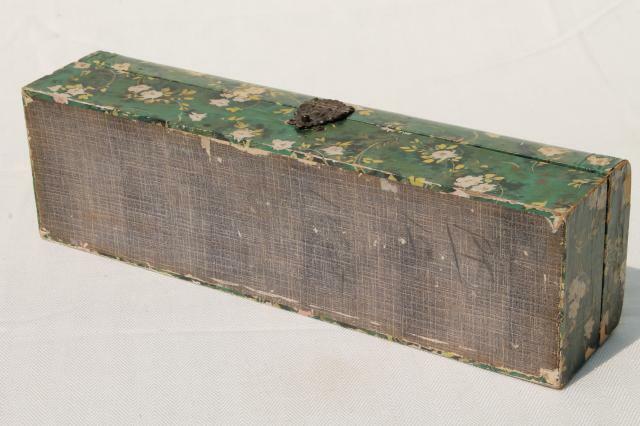 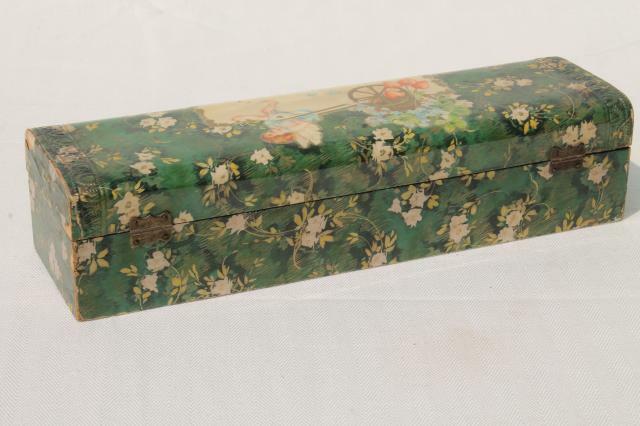 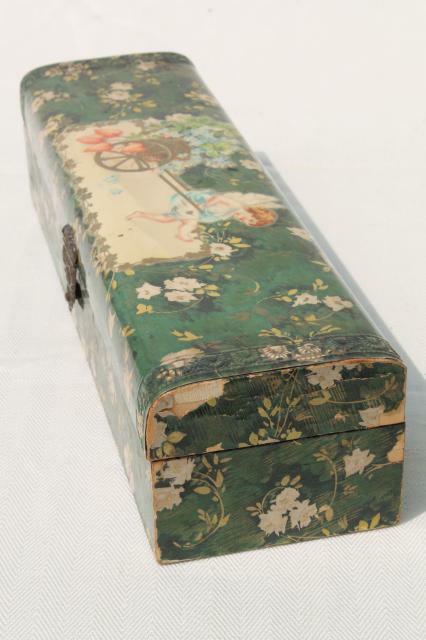 Shabby but so pretty Victorian vintage glove box, about 12" long end to end. 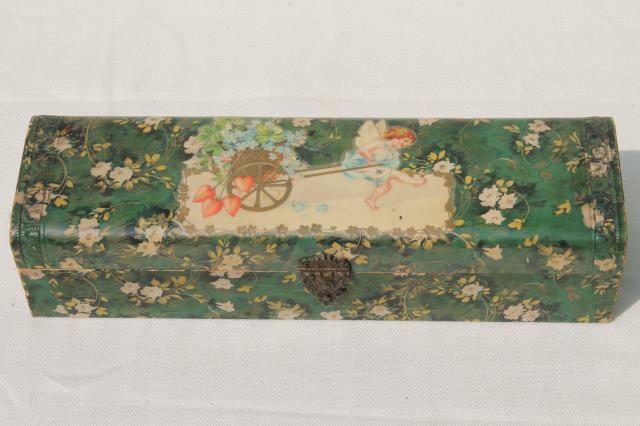 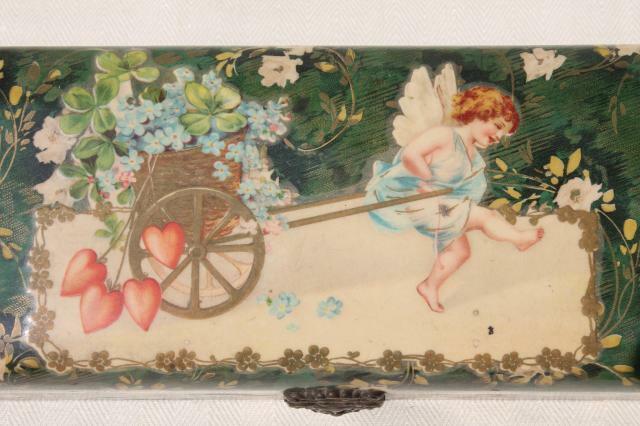 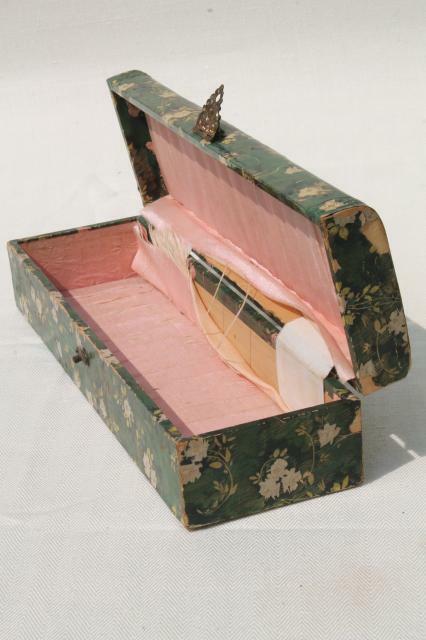 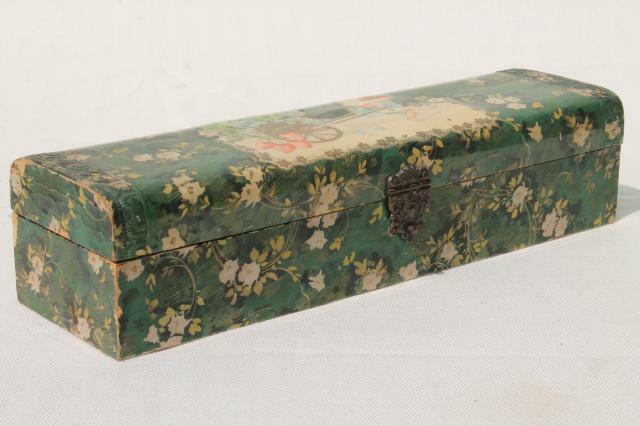 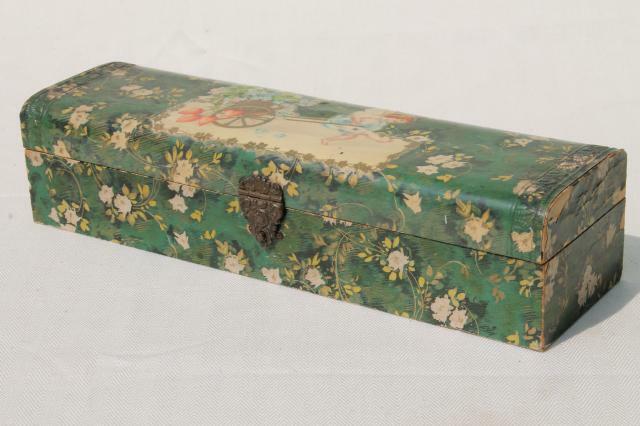 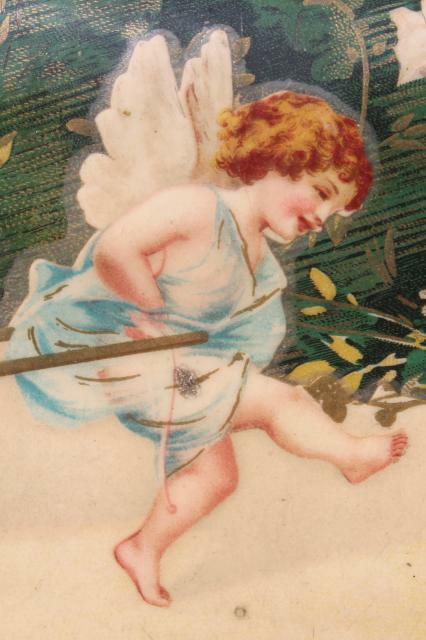 This is decorated with a cherub pulling a cart of hearts and forget-me-not flowers with lucky clovers all around, clearly a gift piece, expressing sweetly sentimental good wishes of every sort! 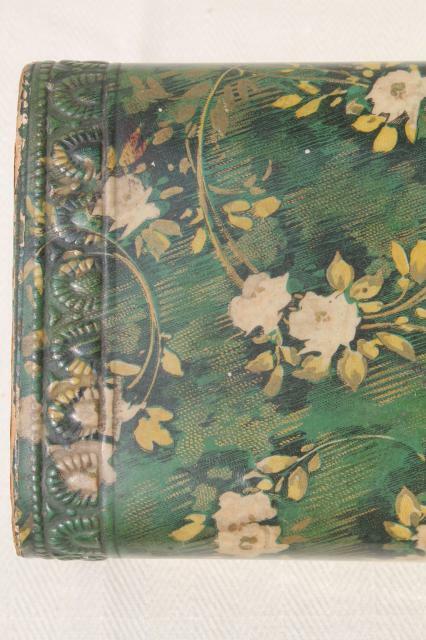 The inside fabric lining is shredding, and the exterior has some chipping and wear. 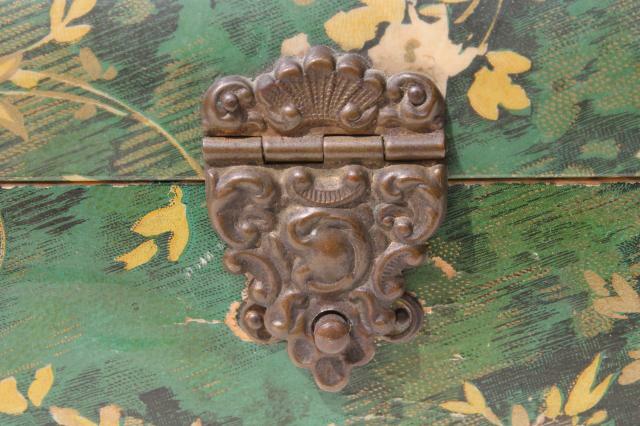 Overall, it's a lovely thing, carefully kept for over 100 years.